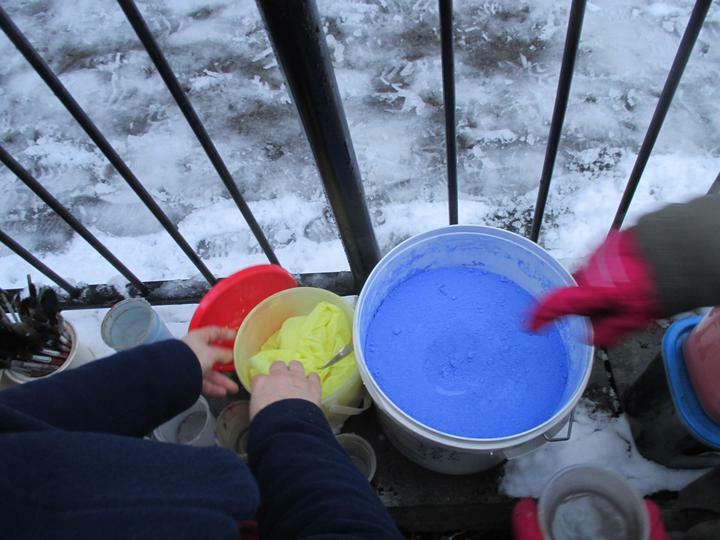 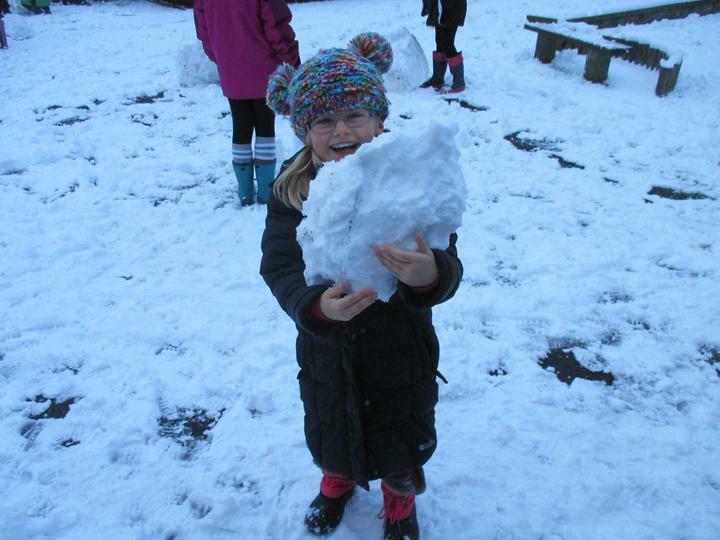 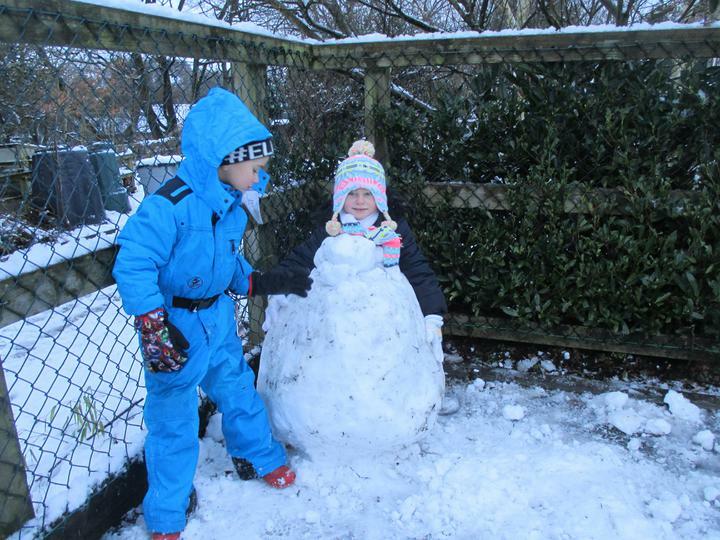 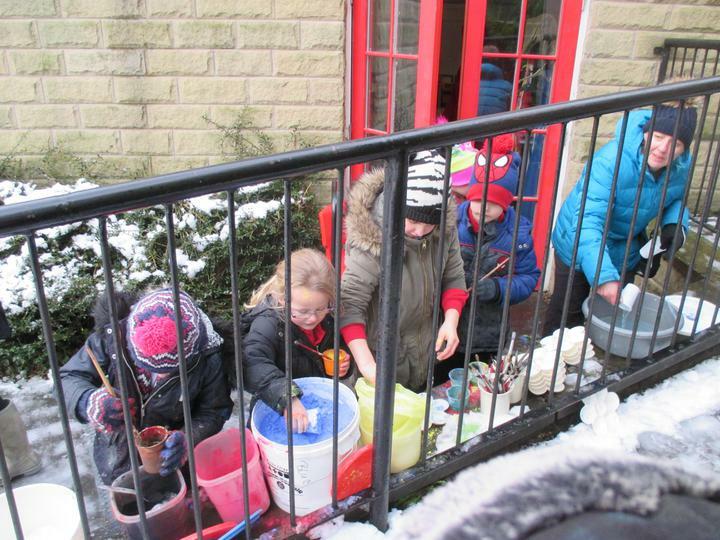 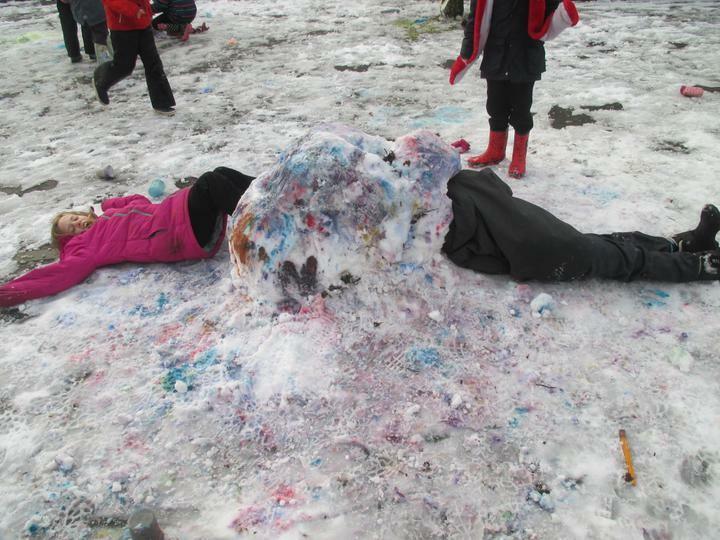 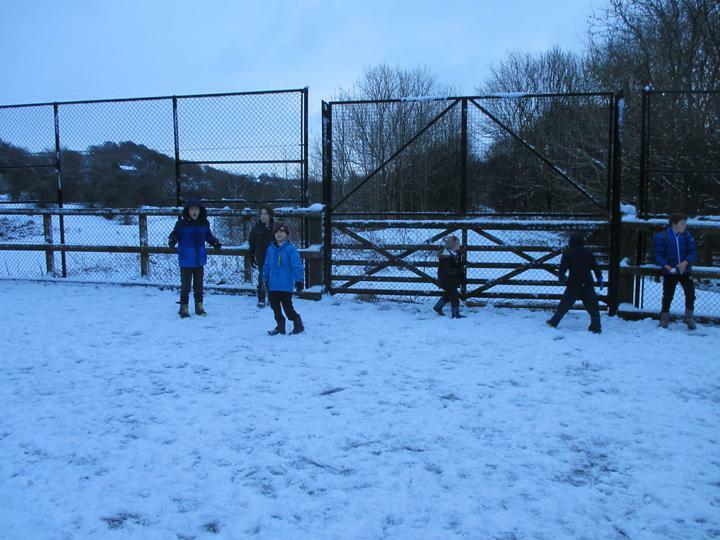 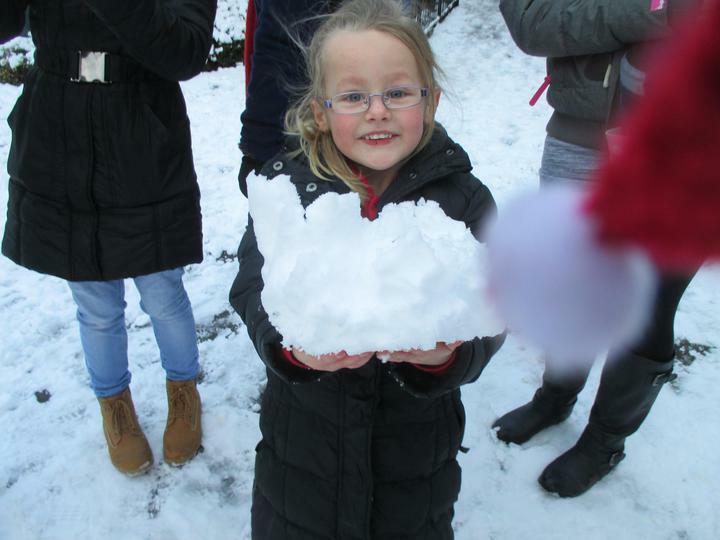 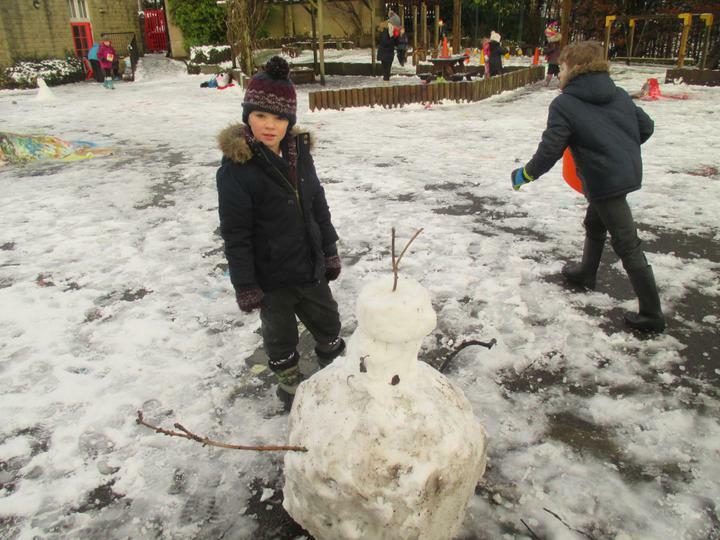 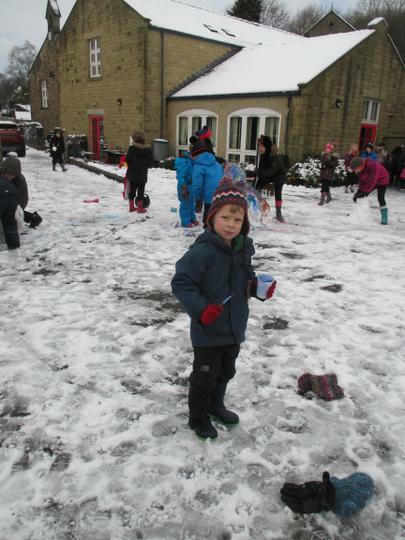 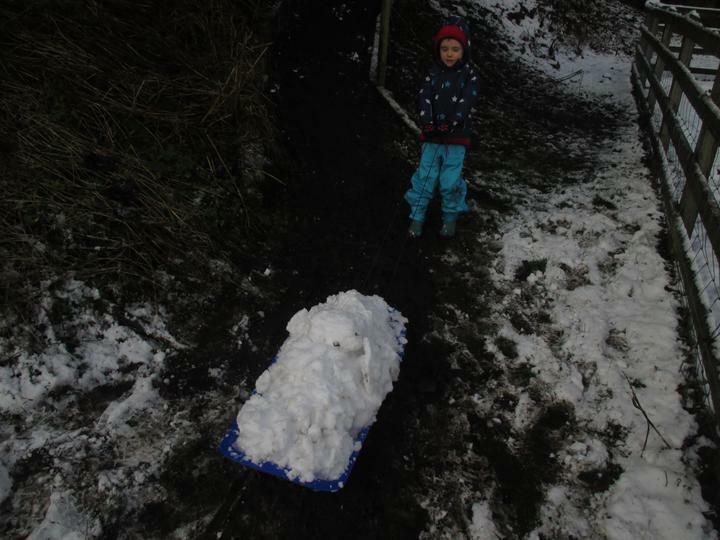 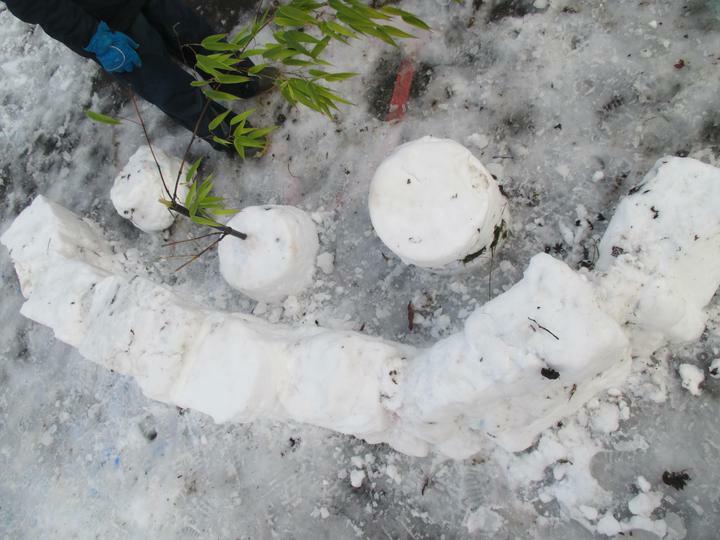 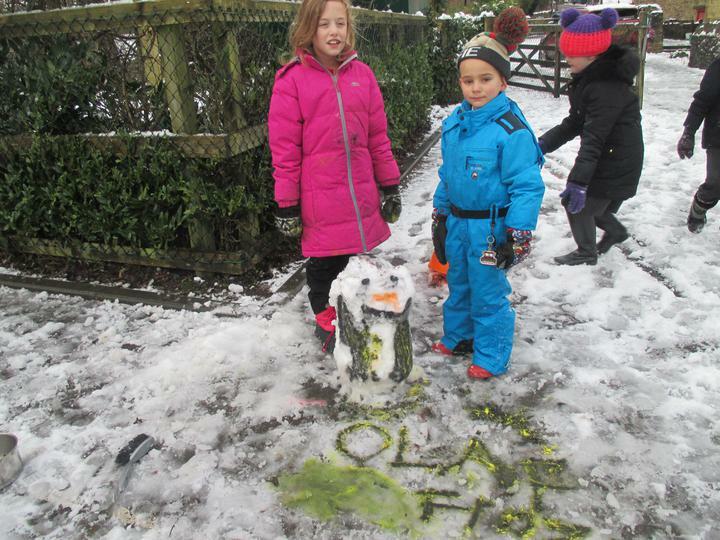 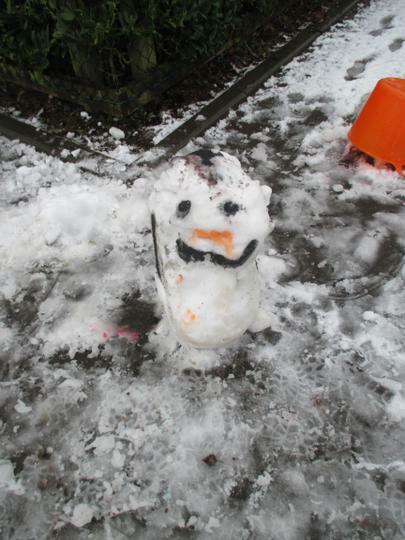 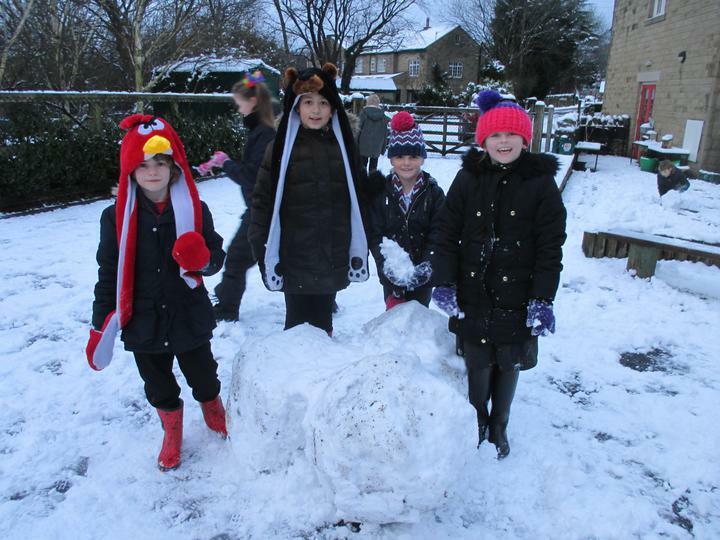 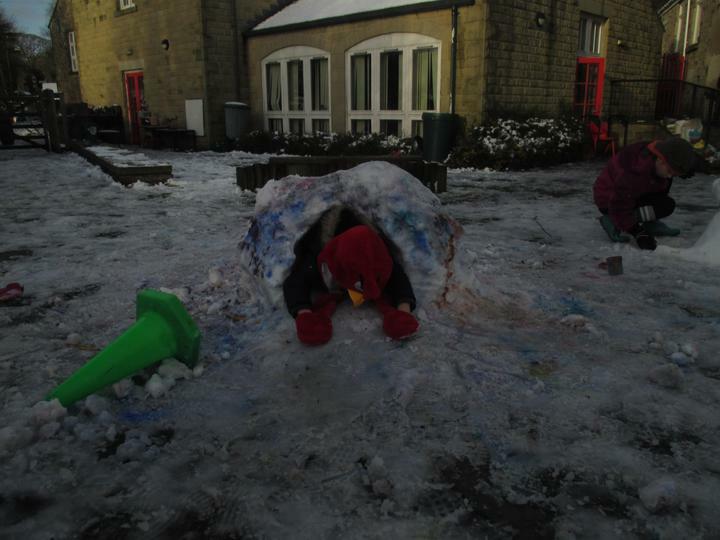 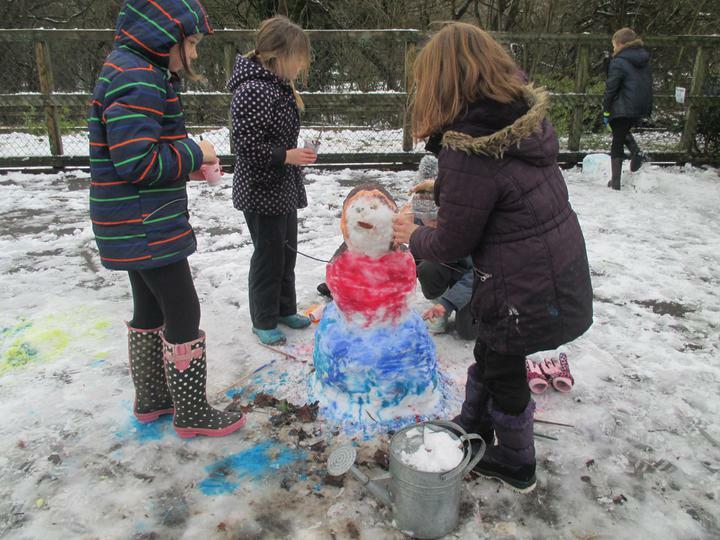 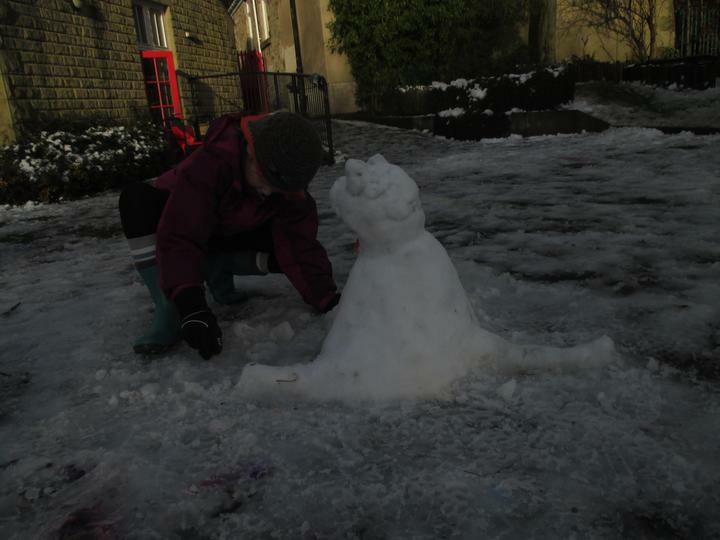 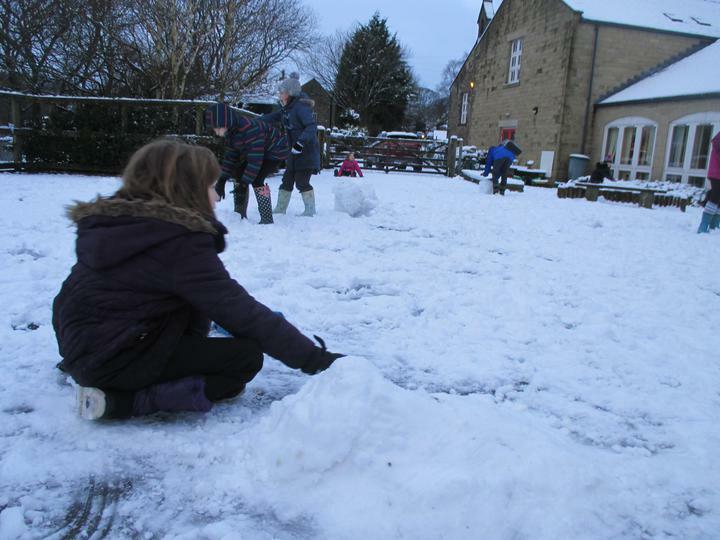 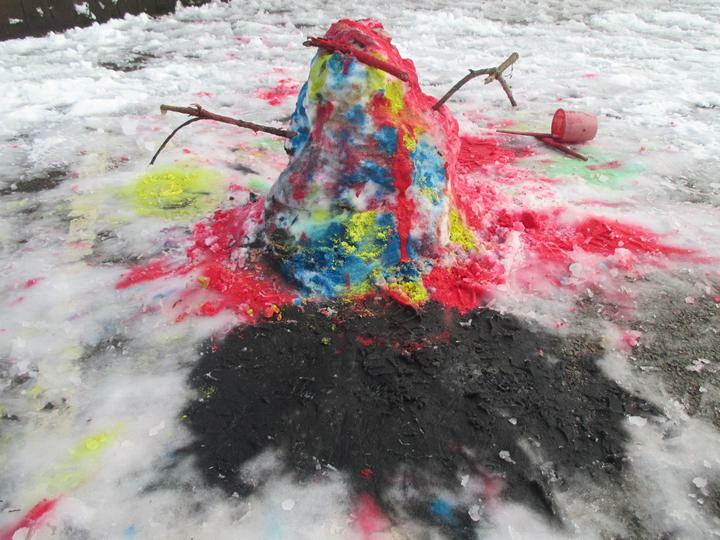 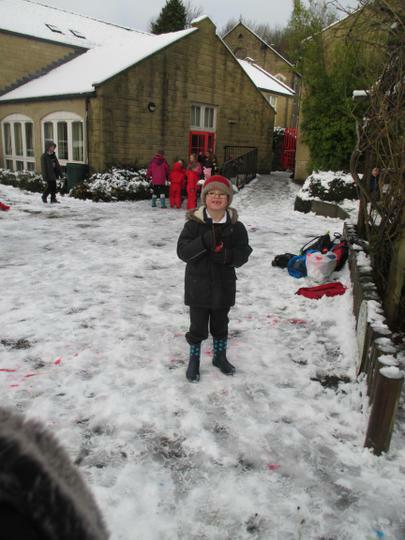 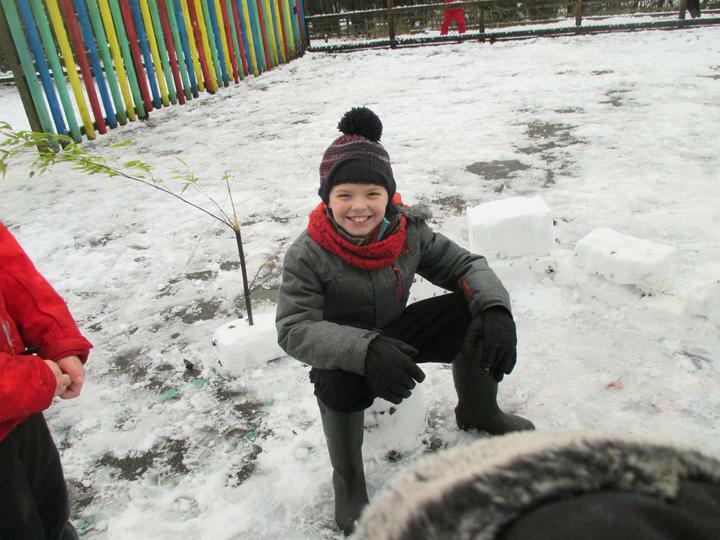 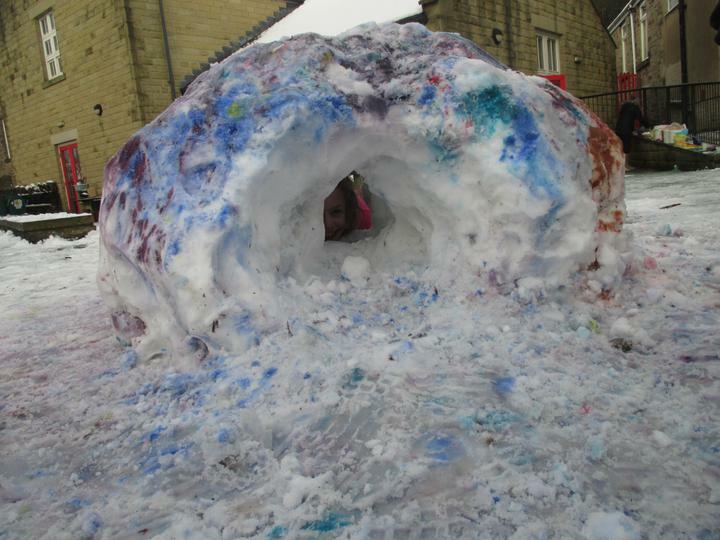 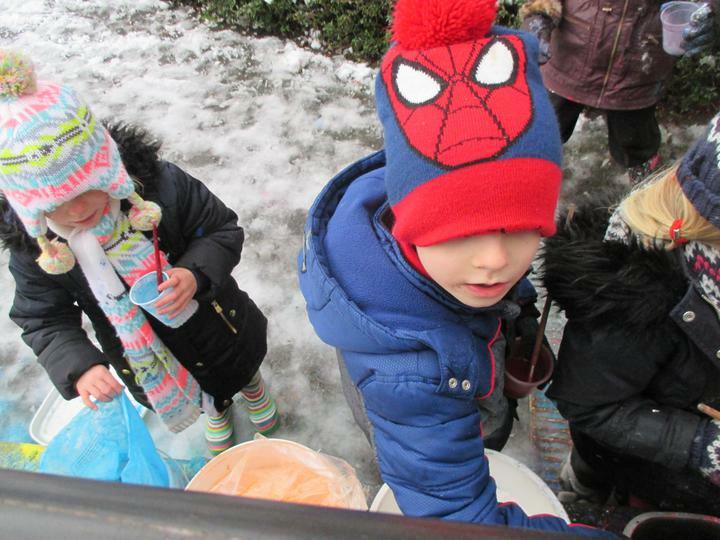 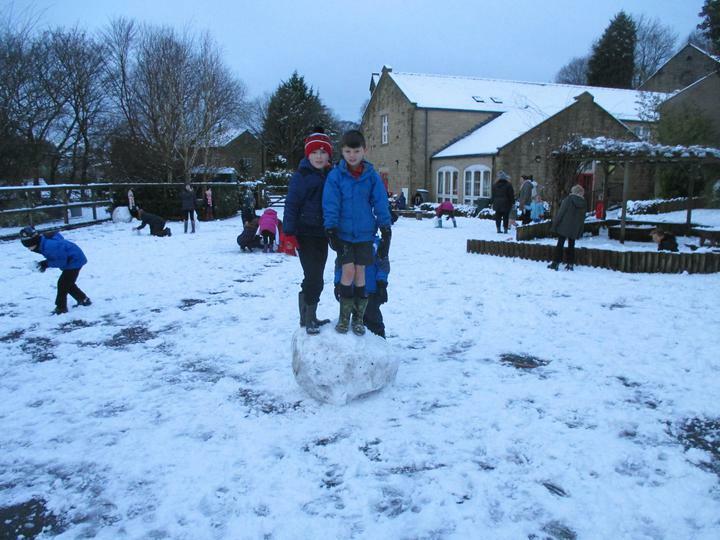 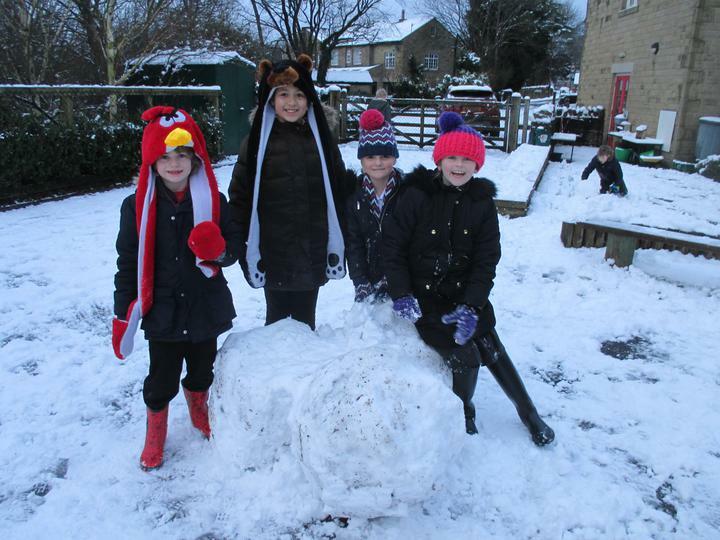 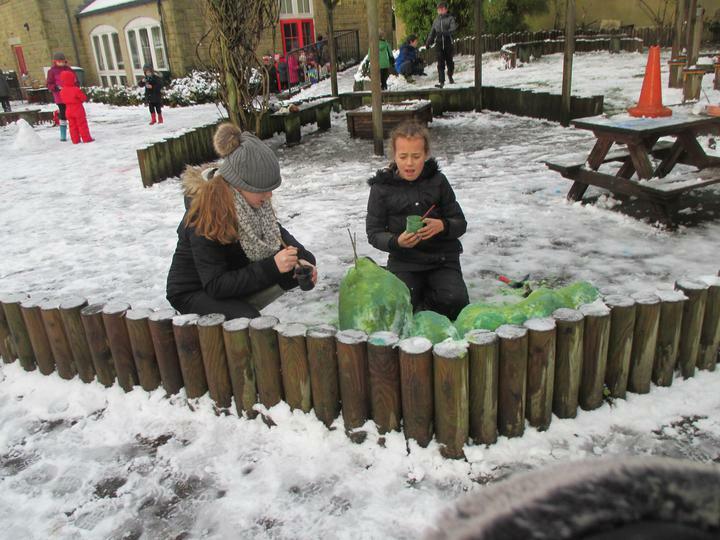 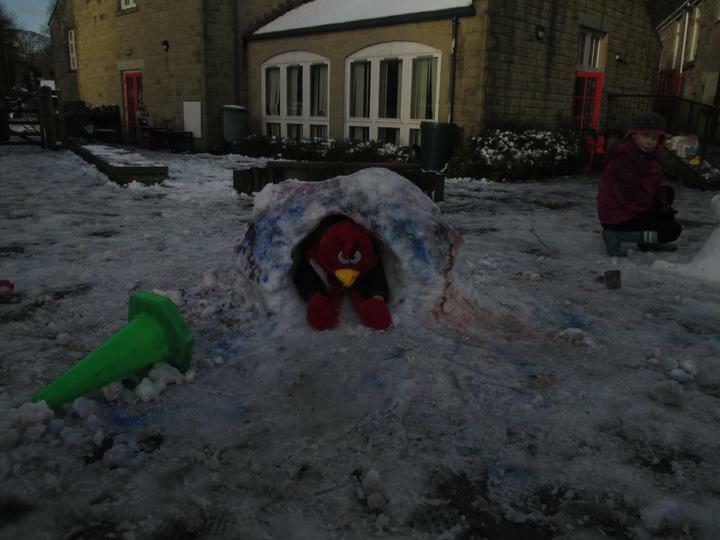 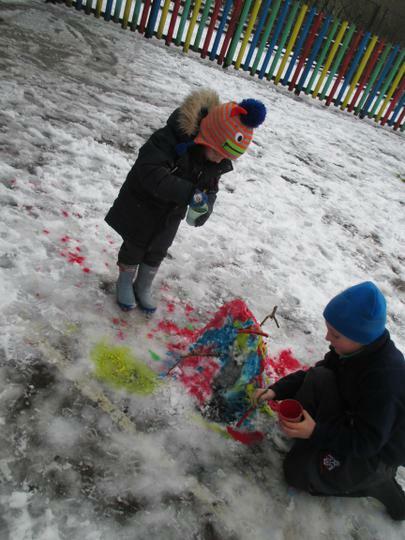 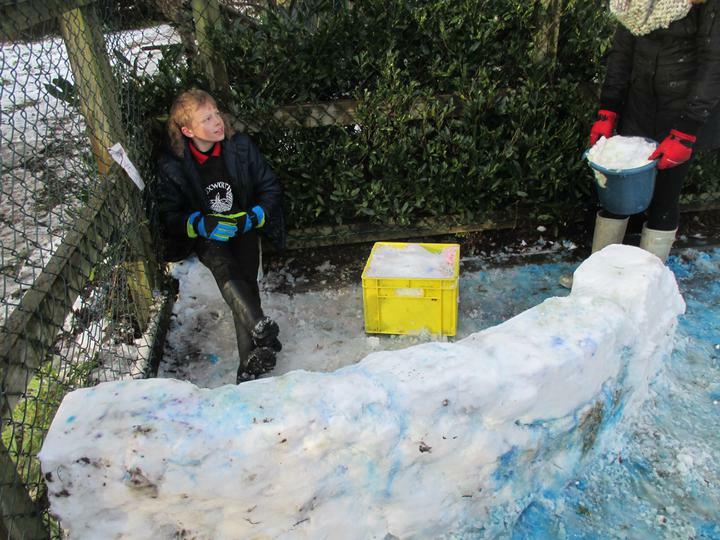 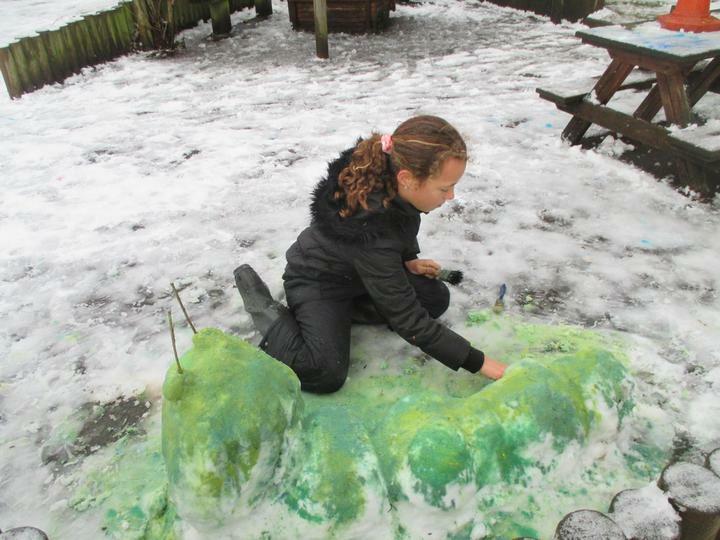 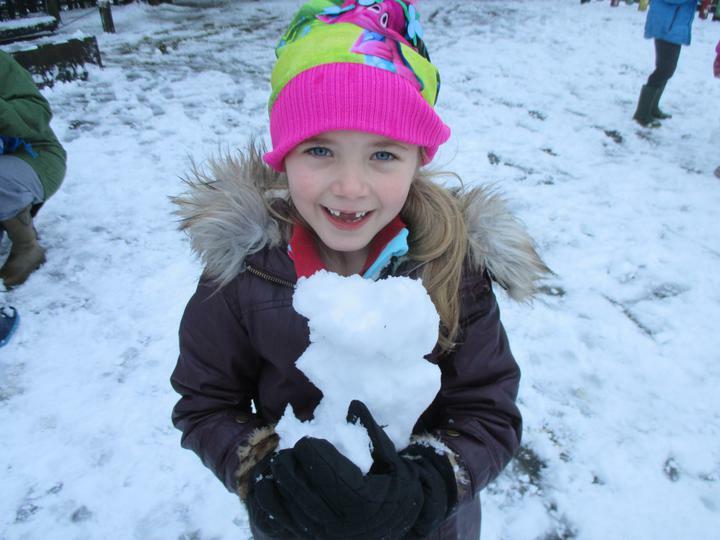 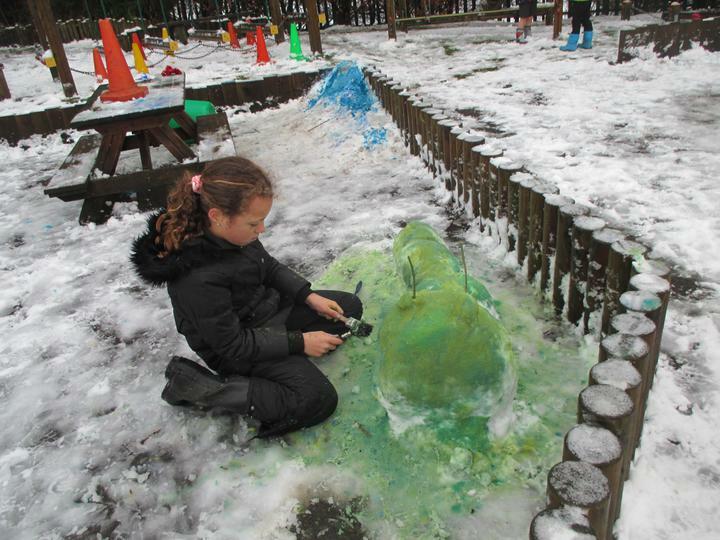 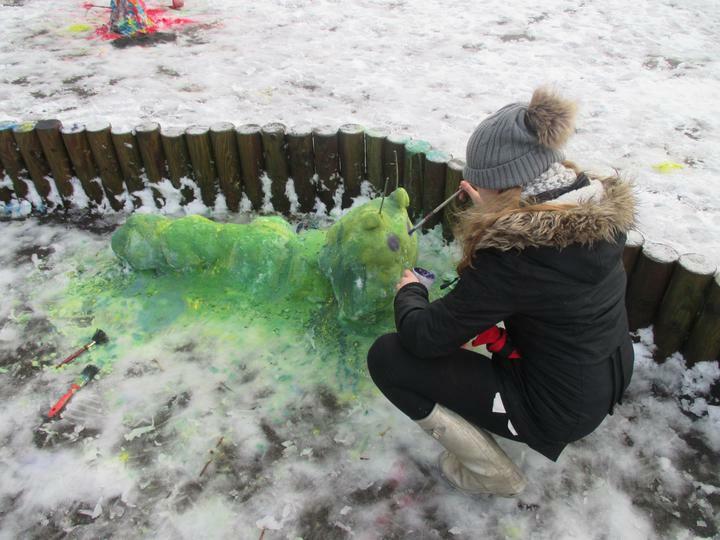 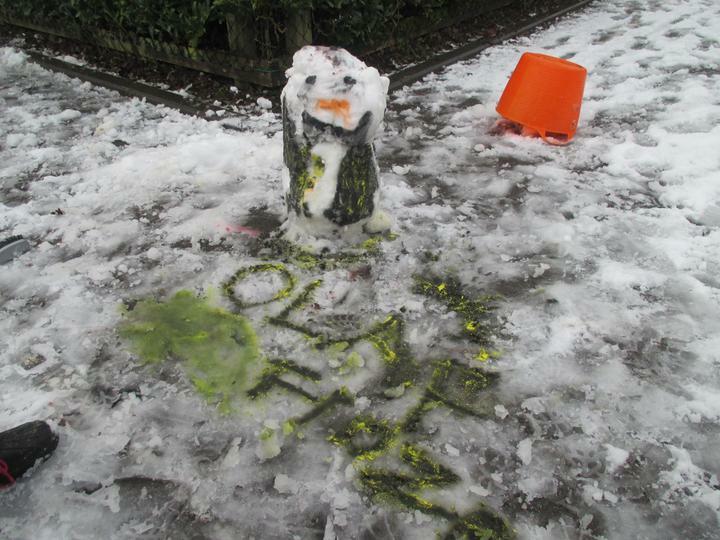 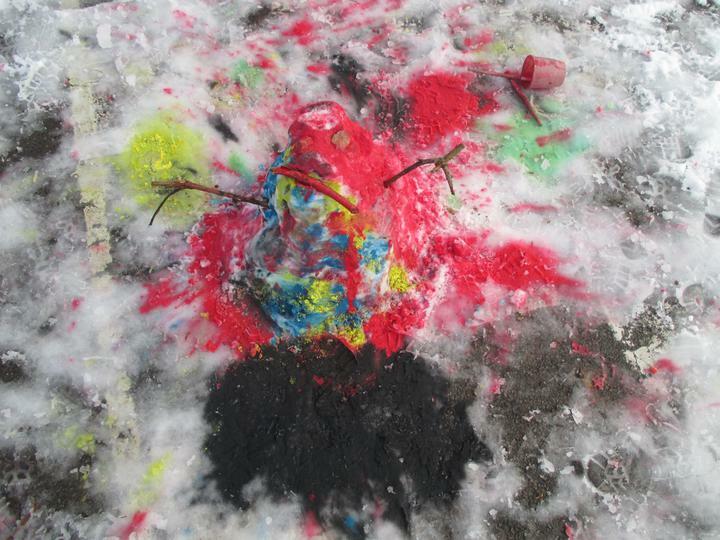 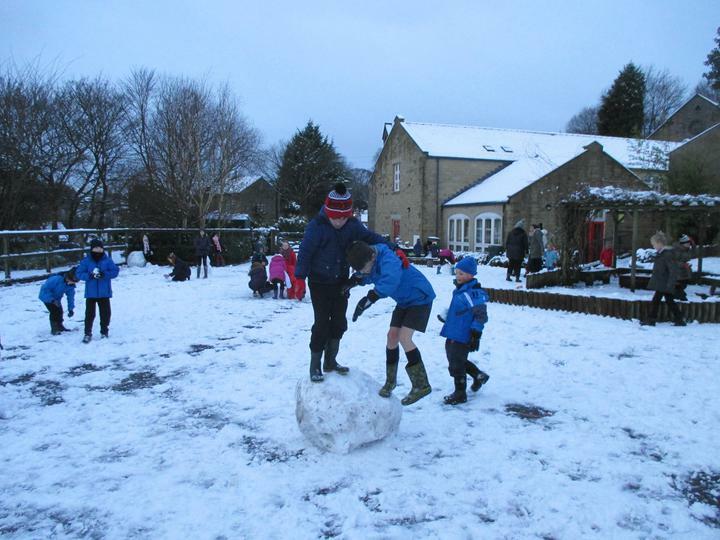 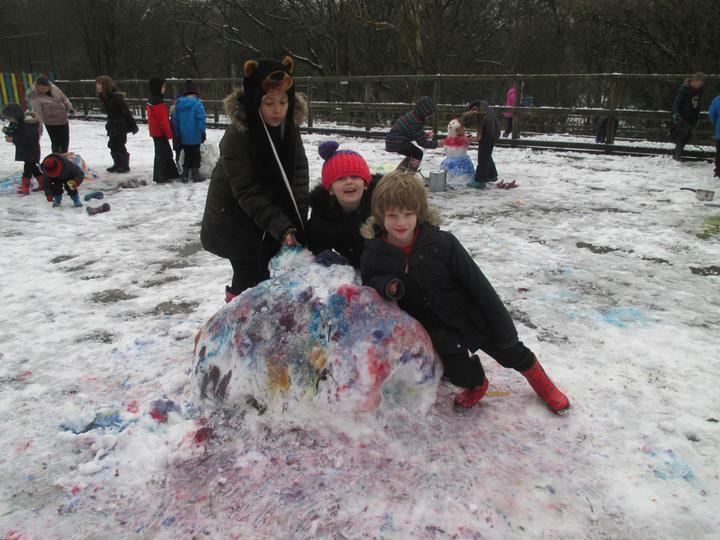 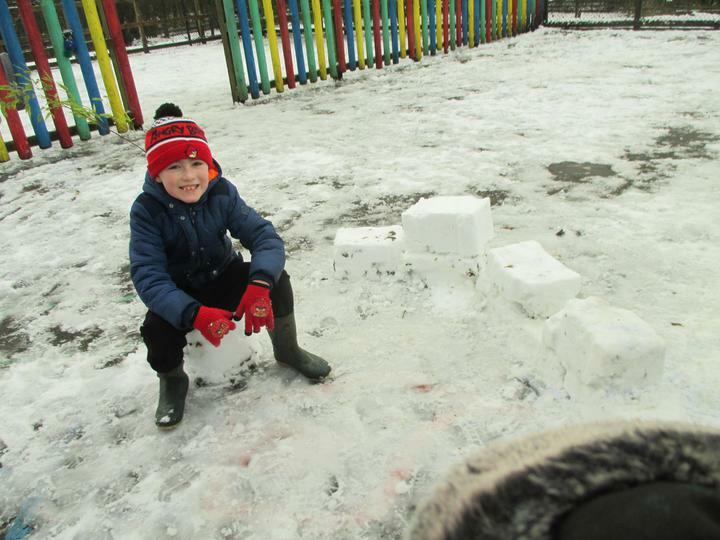 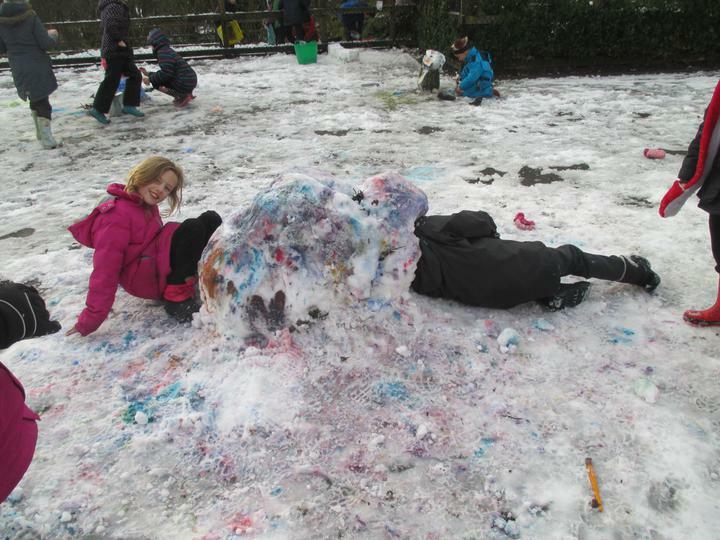 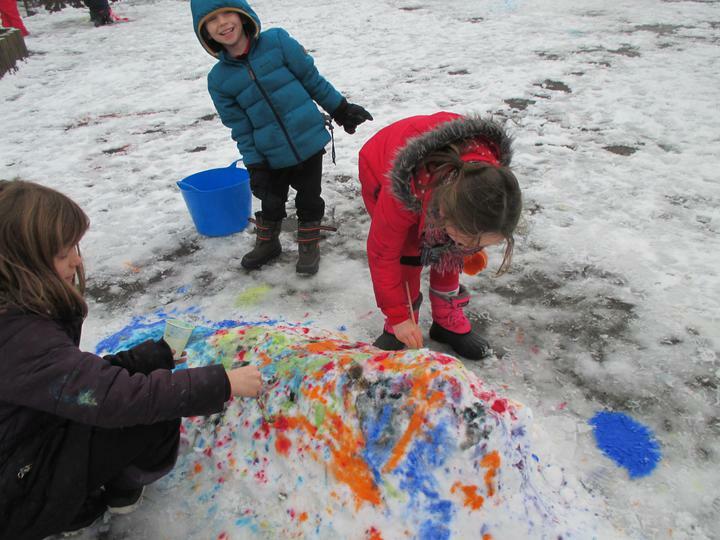 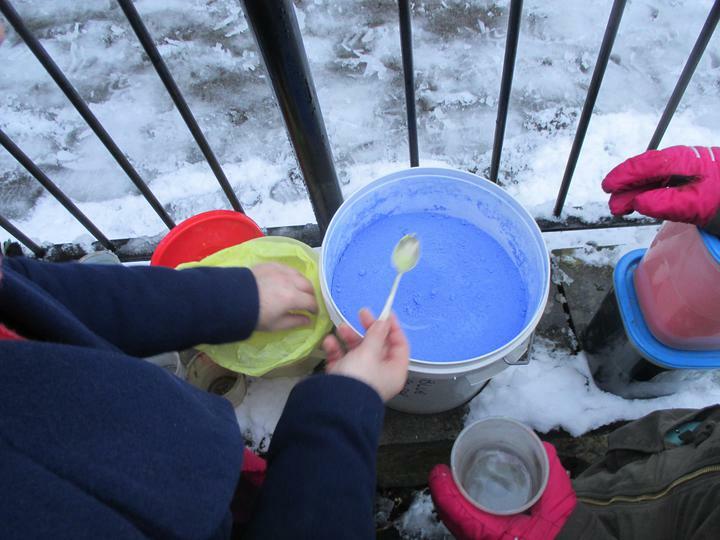 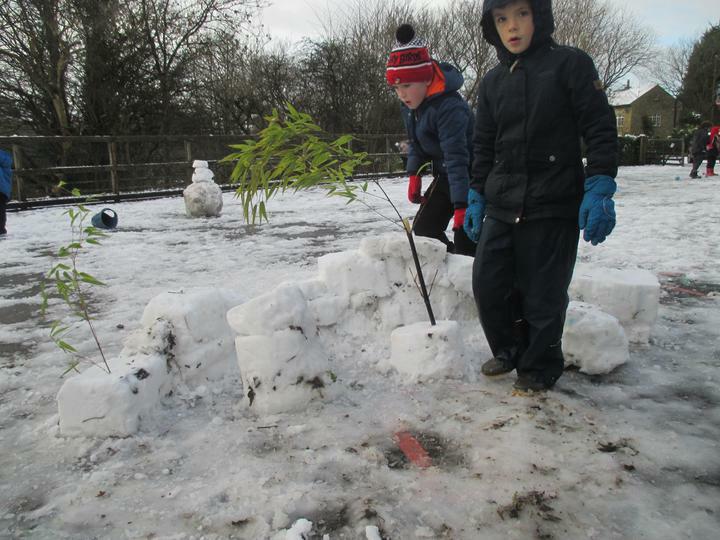 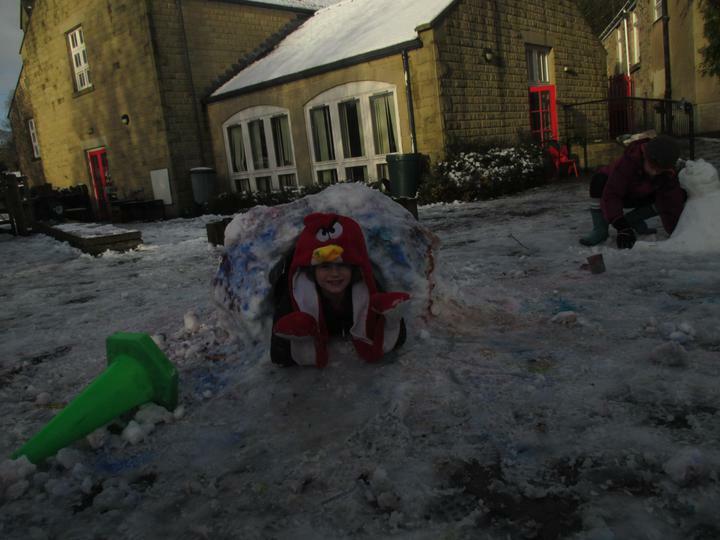 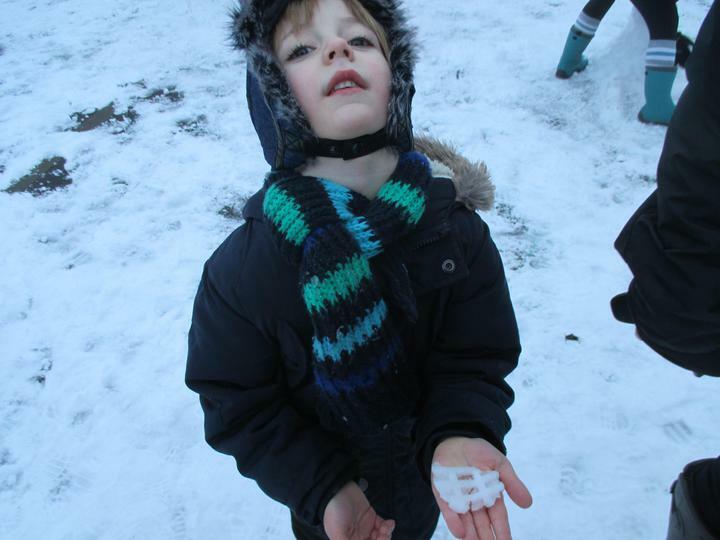 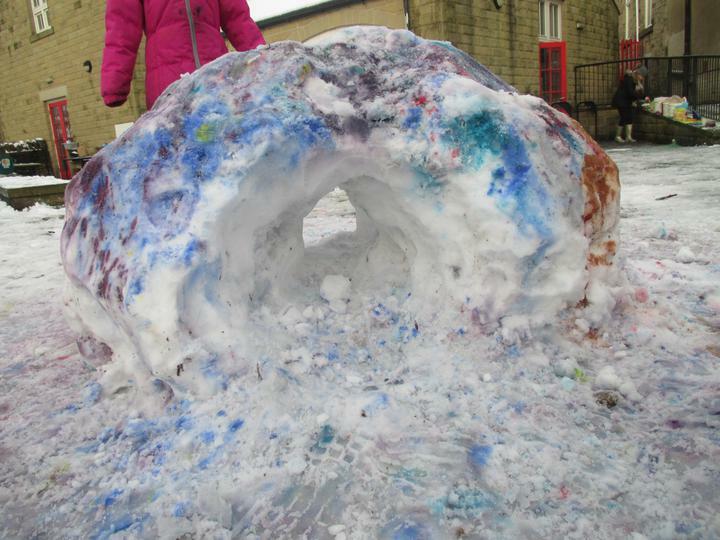 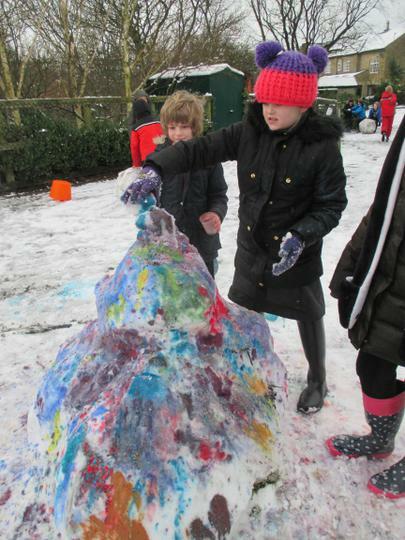 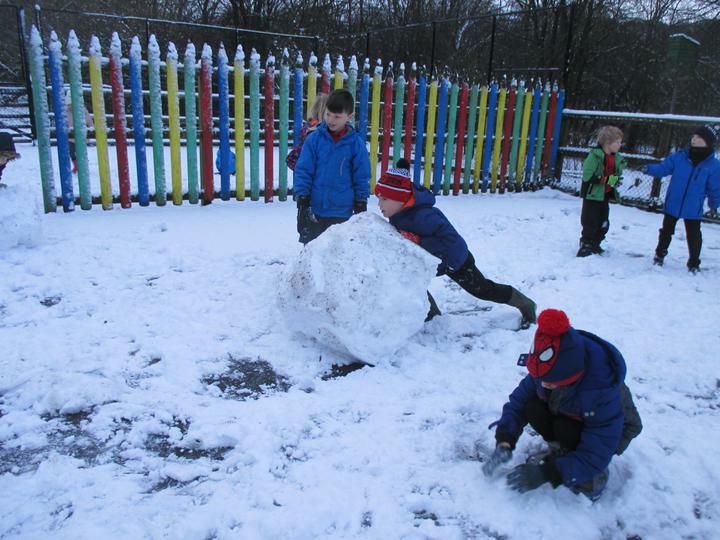 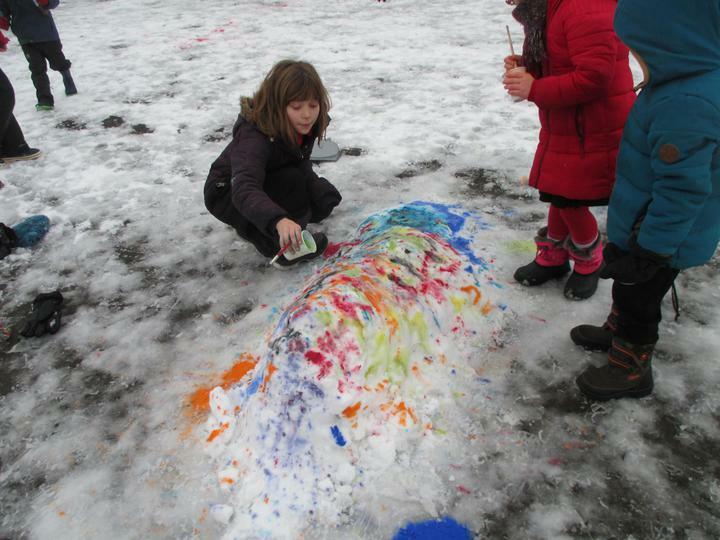 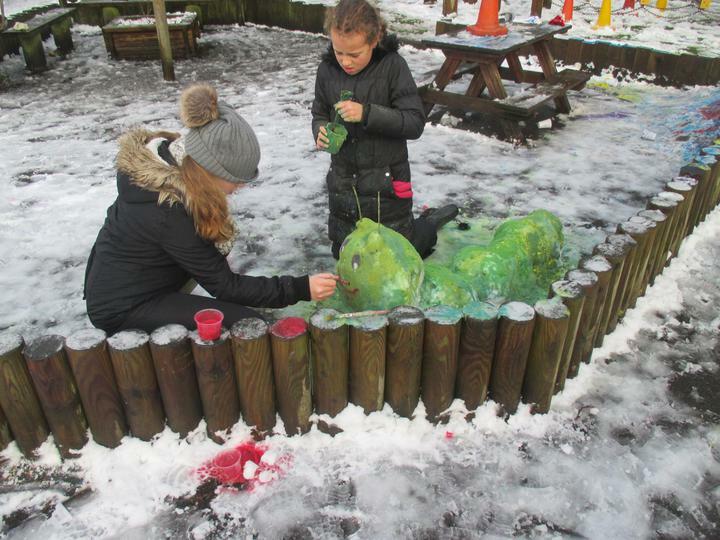 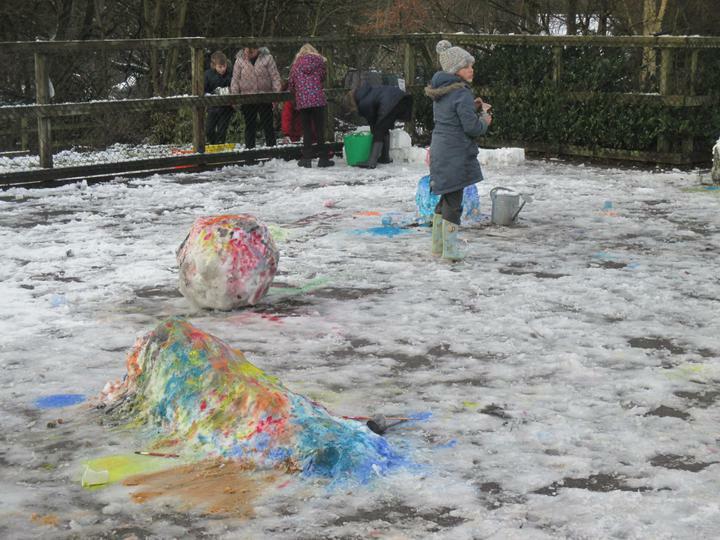 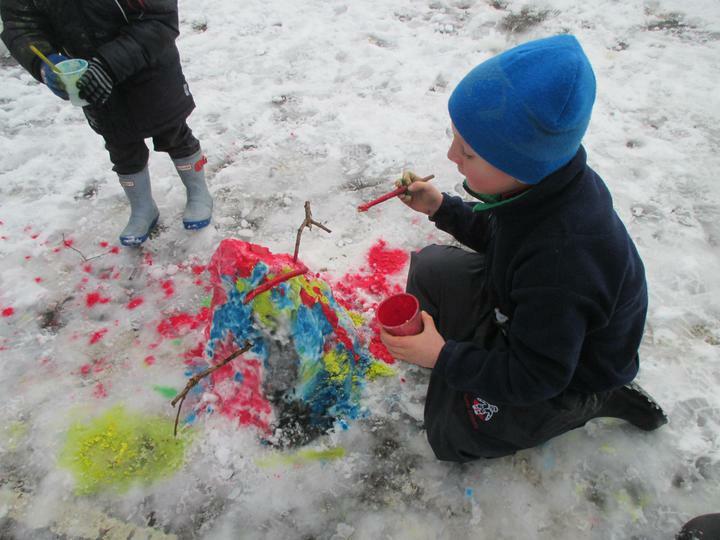 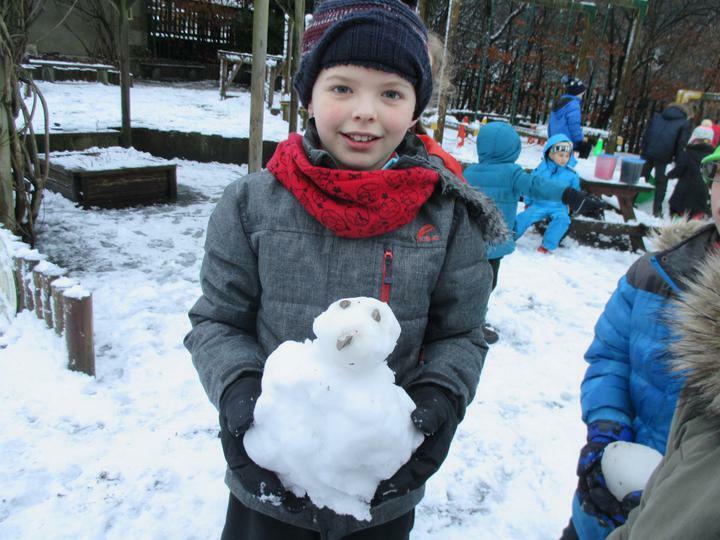 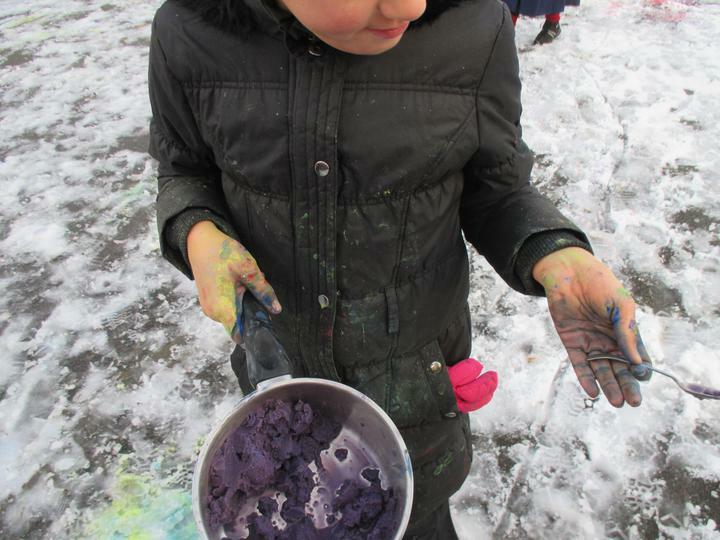 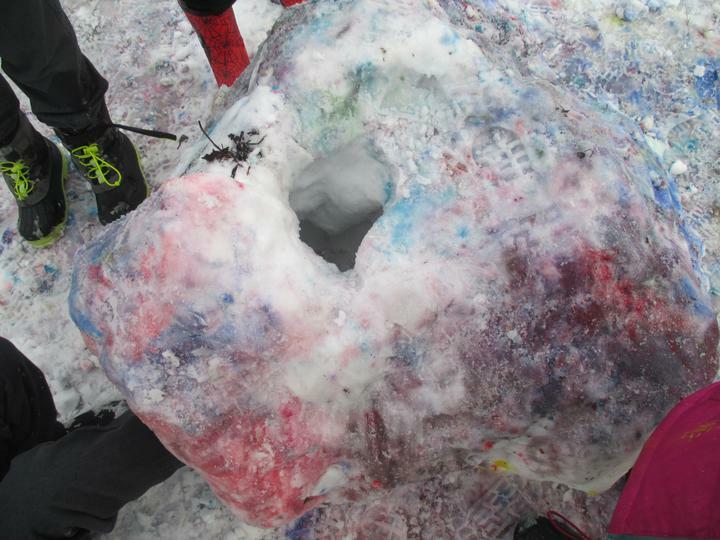 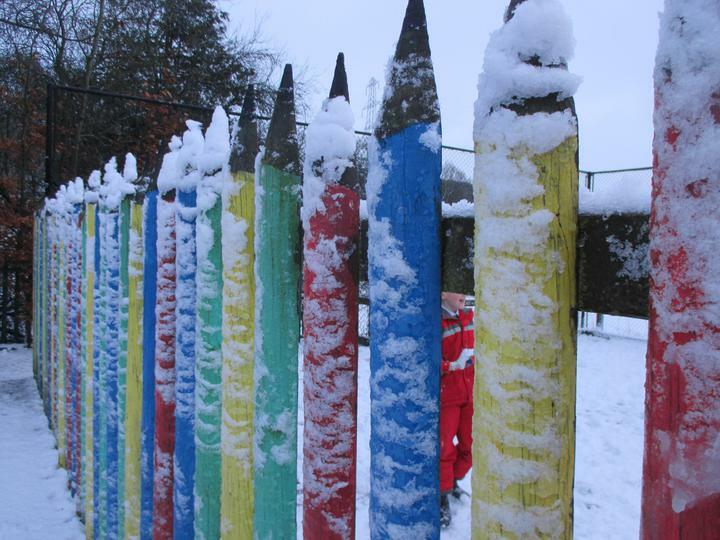 Children used their sculpture skills to make igloos (the snow was perfect for tamping down in the moulds). 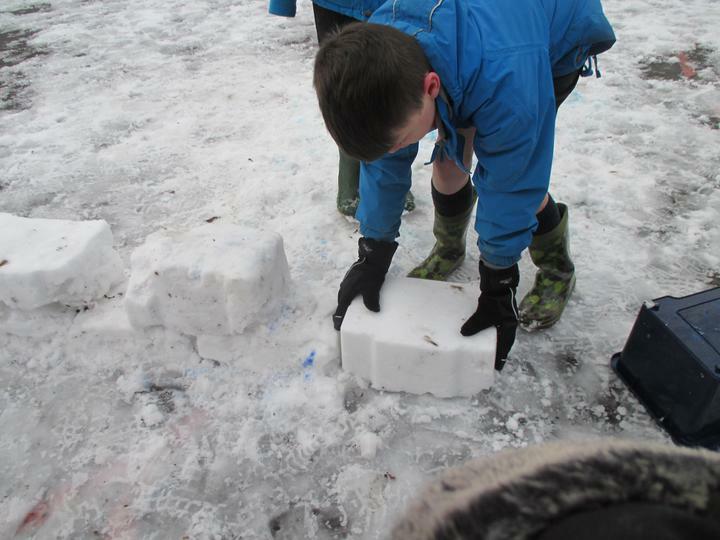 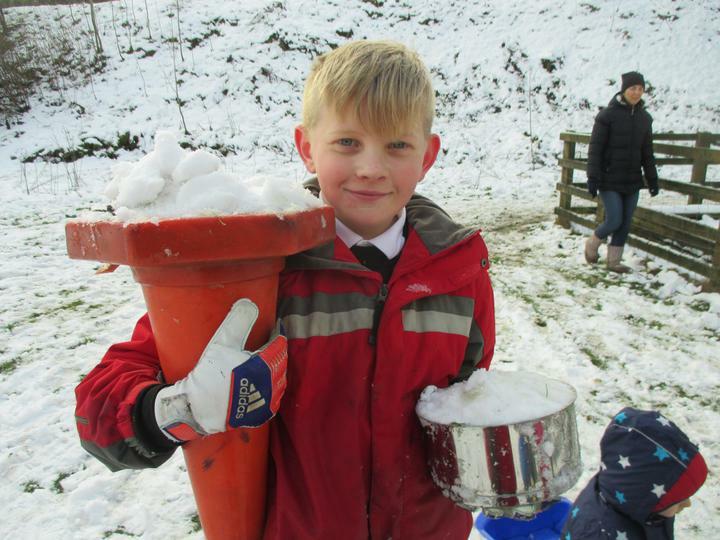 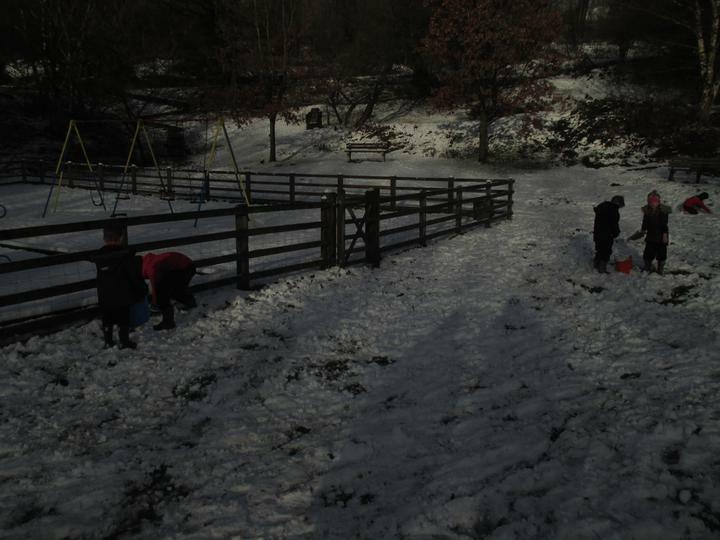 They explored methods of construction including working with compacted snow and testing its strength. 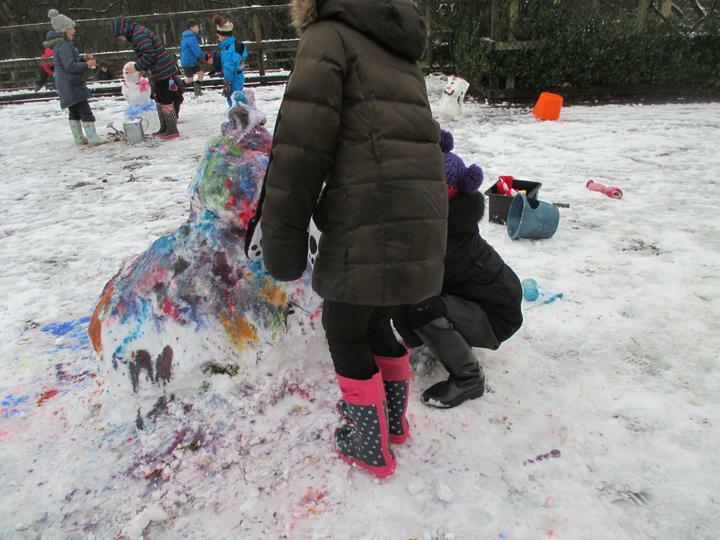 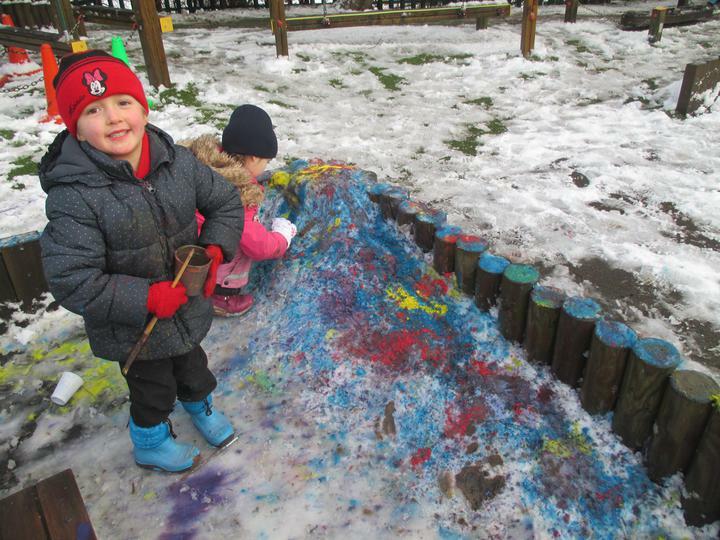 Some designs involved brick work whilst others creating a massive pile of snow and then burrowing through.